July 4th. It is a time when we celebrate our Independence Day as a nation. We all celebrate this time in differing ways, but we can all do it because of the price that was paid for our freedom. The price was paid by our founding fathers who gave so much so that we could experience what we have today. 9 of the 56 were captured by the British as traitors, tortured and put to death. 2 of them lost their sons in war. Two others had sons captured and 12 of the 56 had their homes ransacked and burned. These founding fathers surrendered all that they had so that our nation could begin a journey that has lasted over 240 years. Those who fought against the British under General George Washington endured great struggles during the winter at Valley Forge. Many lost limbs due to the cold weather they endured during that winter. Over 2,000 died because of diseases. Of course we know that the struggles of our nation did not end in that winter of 1777. There were many other wars that followed the Revolutionary War. We also know that thousands of others have died in service to the United States of America down through the years. In some respects things have gotten better, but then again we still find ourselves in a struggle. We still have men and women that have given their lives in service for our nation. Others have served this nation so that we might enjoy the freedoms we have. They did so because they saw it as their duty. Men and Women have served this nation with honor. They surrendered their lives in service and did so not so people would honor them but so that people might be able to enjoy the benefits of freedom in the United States of America. As we come to this Independence Day, we must remember those who have given themselves in service for this nation from the time of our founding fathers. We must remember the price that has been paid by all those who have served this nation. I recognize that there are many ways in which we can celebrate this time. But it is my prayer that we not forget those who have so unselfishly served this nation in war time and in peace, whether it was on foreign soil or American soil. It seems that so many in our nation have forgotten what this Independence Day is all about. But our true freedom comes when we accept Christ as our Savior and follow Him as Lord in our lives. Before Christ we are slaves to the sin in our lives. Apart from Christ we are unable to have the freedom that our hearts desire. The freedom we have in Christ is something that we must share with all those whom we meet. 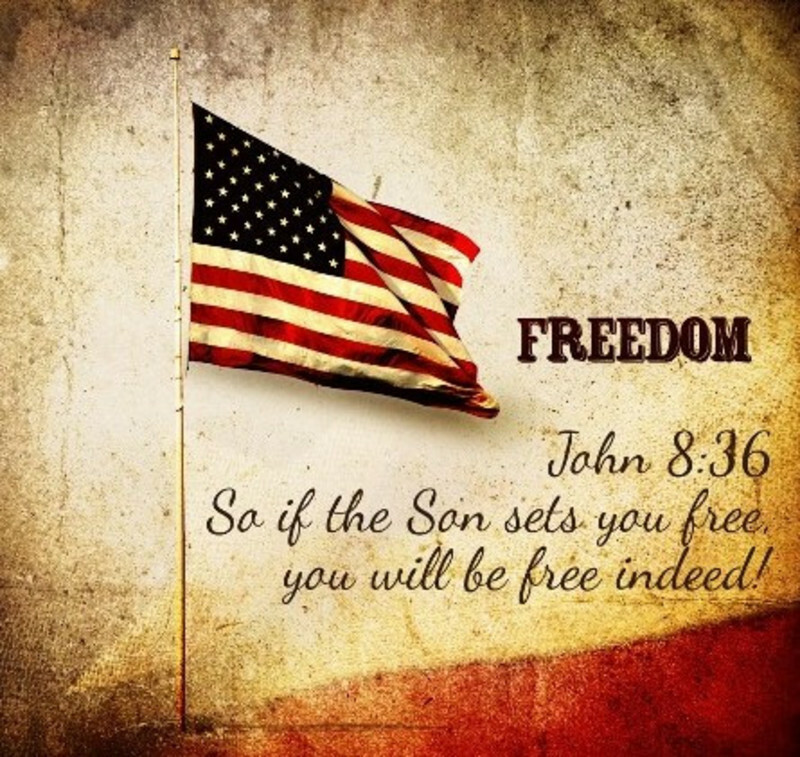 While we must never forget the freedom we have in this land, we must never forget the freedom that we have in Christ. It is that freedom that will resound in the hearts and lives people for all eternity. 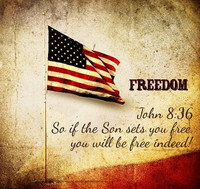 So, on this Independence Day, thank God for those who have so unselfishly served our nation and thank Him for the One who has given us true freedom – Jesus Christ.